NOTES: Lee also scored in four straight games from Nov. 29 to Dec. 6. 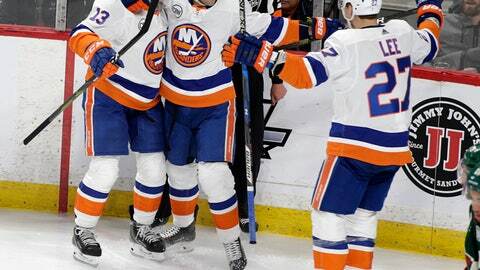 … The Islanders are 10-1-1 in the second half of back-to-backs this season. … Suter recorded his 300th point with the Wild since he and Parise signed 13-year deals on July 4, 2012. … Islanders C Casey Cizikas (lower-body strain) missed his second straight game. His 19 goals are third-best on the team.